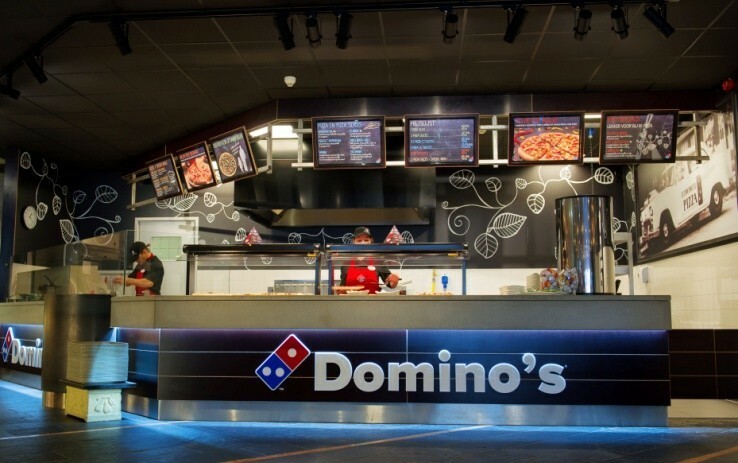 Domino’s Pizza is the world largest pizza delivery and takeaway company and can also call itself market leader on the Dutch market with over 200 stores. Their ambition is to expand their national network to at least 350 branches. The company regularly uses regional direct marketing and wants to help its franchises to use it as efficiently as possible. Thanks to Marvia’s Marketing Automation software, one central marketing portal was created where all the Domino branches in the Netherlands and Belgium can make and publish their marketing communications. The platform ensures franchisees to spend less time on marketing, the printer gets all files in the right format and the mailings connect better with the target group. If a customer receives a pizza late this week, he will receive a DM with a nice offer at the end of the week. Domino’s is very satisfied with the provided solution. Two years ago, the Marketing Automation platform was rolled out and 15 stores participated. This number has now grown to 120 and international expansion of the concept is being examined. Take a look at the other solutions that our Marketing Automation software has provided.